Aerialwise can professionally install your new flat panel screen onto your wall, we can even hide all those messy cables. Our technicians will mount your screen neatly and professionally, giving you peace of mind that it is secure. 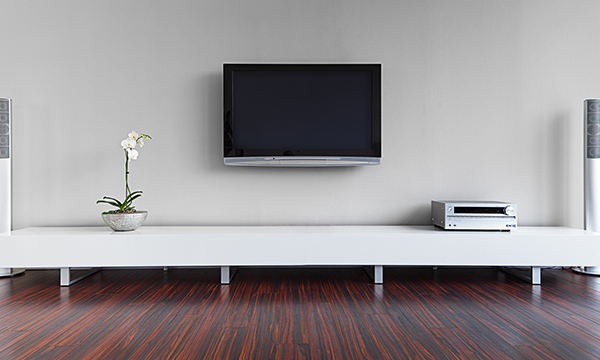 If you prefer your flat screen installed to a stand or cabinet, we can do this too. We have access to a wide variety of brackets, for all types of TVs to fit your installation requirements.